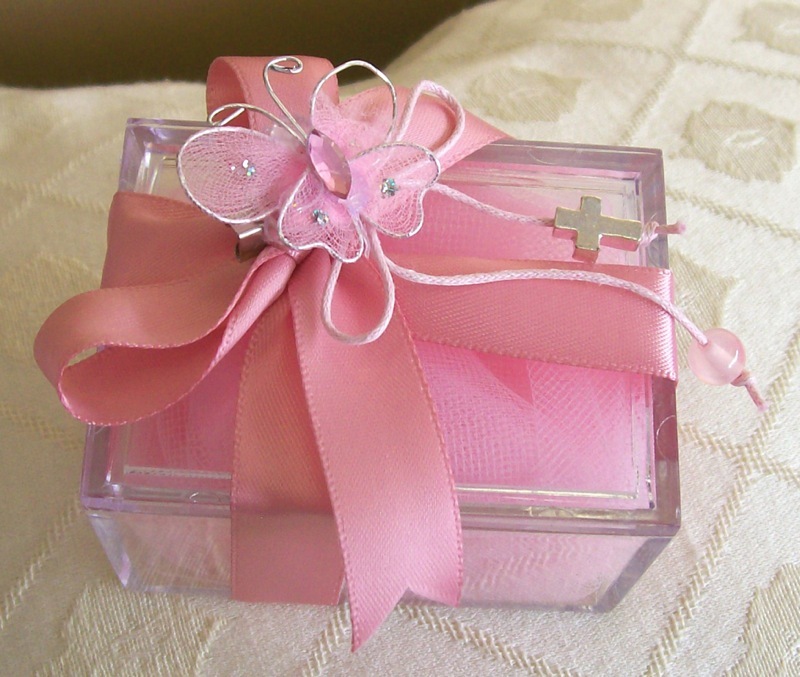 A truly beautiful Perspex box decorated with a delicate butterfly and small cross. Containing confectionery of your choice. This favour is only available in pink.